My ex race and mums section b.
Topsy is still not sure what to make of the snow after 17 years. Coco rather enjoyed the snow, she loved galloping around snorting! Our eight just after they’d been turned out in the morning. Three-year-old Kiki in the snow. My four-legged family: Zippy my 16-year-old ex-racehorse and Mali & Boo my gorgeous hounds! 25-year-old Sox had an absolute blast. Ezabelah enjoying a stretch in the snow. Queenie (18) enjoying the snow in Abergavenny. 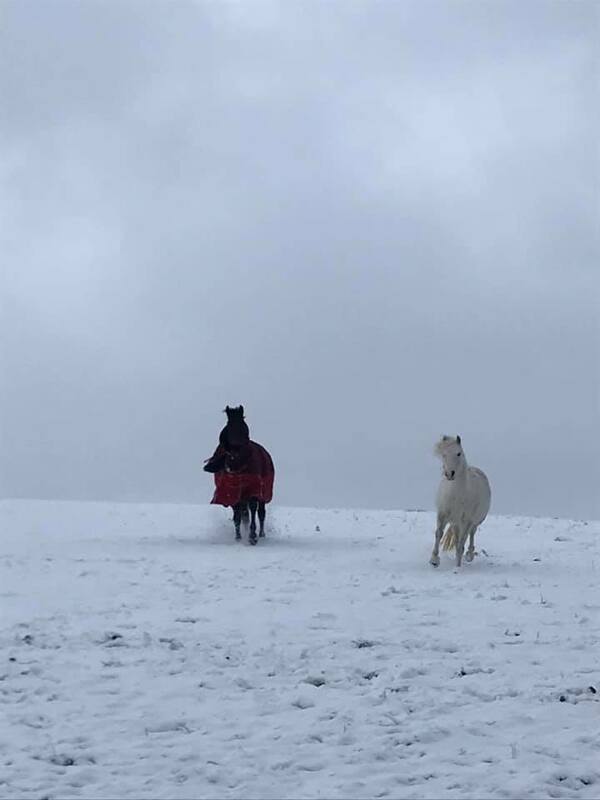 Esprit having a stroll in the snow.